How do students access the alternative formats of the documents uploaded into a course? 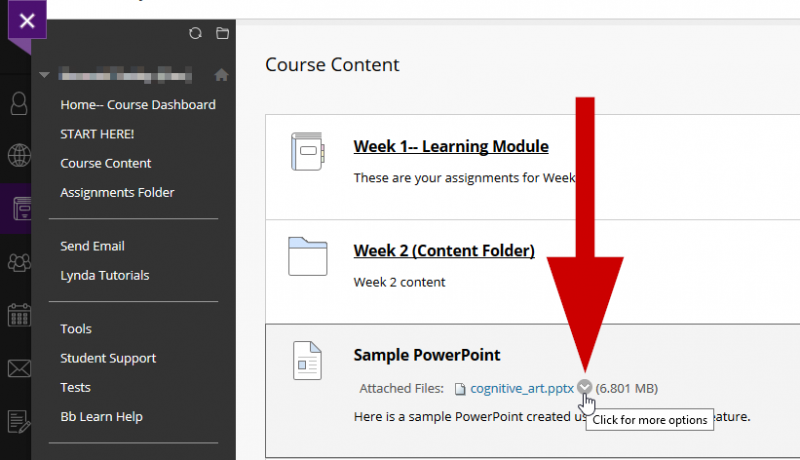 For any file uploaded to Blackboard, students have the ability to download those files in a variety of different accessible formats including tagged pdfs, electronic Braille, audio files and more. 1. Log into Blackboard Learn and access a course. Then, open the course folder that contains the file you would like to download. 2. When hovering your mouse over a file, a grey downward facing chevron will appear. Click on it to open the file options. 3. 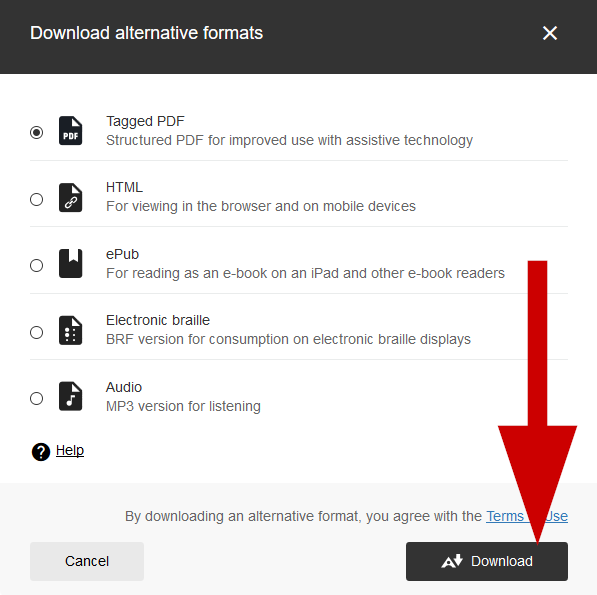 Click on "Alternative formats". 4. A pop-up window will allow you to choose a number of different alternative formats. Click the "Download" button when you have made your selection.